In 2001, Newspaper Subscription Services (NSS) was founded on the belief that one company should execute effective marketing programs to generate new subscriptions for all newspapers. Economies of scale should be achieved if the programs could be refined and then all newspapers would benefit and be served in the same way. Somebody needed to create turnkey marketing programs that were easy to implement and quick to deploy. Somebody should be the expert and be able to help our newspapers using proven strategies. That person was the founder, visionary, and current president of NSS, Frank Vega. Frank is a second-generation newspaper enthusiast who began his first paper route at age 14. Committed to the industry since childhood, Frank created Newspaper Subscription Services in 2001. He is an experienced entrepreneur, having founded and developed six successful business ventures. He is also the former president of the Houston Entrepreneur’s Organization, is a member of the Young Entrepreneurs Organization, and is an active mentor for students of the University of Houston’s entrepreneurial program. Frank graduated from the University of Florida’s Warrington College of Business Administration with a degree in Business and Finance. Matt has an extensive background forming relationships with large organizations. Prior to joining NSS, Matt worked in strategy and business development for Sears Roebuck. 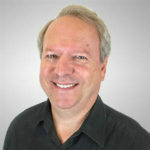 During his tenure, he developed a series of partnerships for Sears with companies including America Online (AOL), Cisco Systems, eBay and Amazon.com. 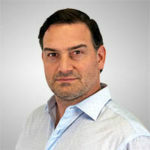 Matt earned a Bachelor’s degree in Economics from the University of Florida and an MBA from the University of Chicago’s Booth School of Business. 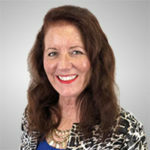 Kathy brings years of sales and marketing experience to our team as a Direct Mail Specialist. Her insight and knowledge will ensure you maximize orders and generate high quality starts with great retention. 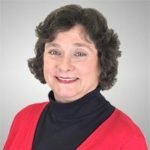 Kathy has spent 25+ years in print and digital marketing and extensive direct mail. She is passionate about customer service and responds quickly to all inquires to problem solve and ensure your project is successful. 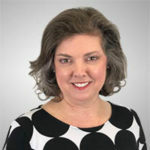 Kathy also specializes in sales, training, and management. 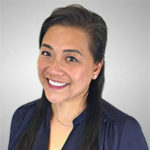 Angela is a management professional with diversified experience in business analysis, process improvement, business and I.T. project management; as well as vendor, accounting, and corporate management. 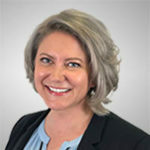 She enjoys being an integral part of the leadership and strategic planning team and excels in a team environment with genuine care and concern for clients. Angela’s detailed analysis and execution provide stellar reliability and accountability for our NSS. 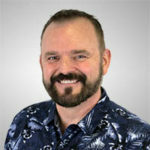 Kevin brings a diversity of experience to the team, from software engineering to economics, strategic planning to marketing technology, design to implementation. He has worked in a range of environments from start-ups to Fortune 500 companies, including co-founding three software consulting firms. Kevin also contributes to non-profits, often as a youth soccer coach, but most recently as member of the Board of Governors for the Houston Area Model United Nations, an educational institution. 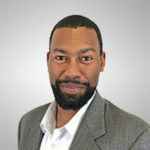 He combines his graduate degree in Economics (George Mason University) with his undergraduate in Computer Science (University of Houston) to deliver solutions that are both technically elegant as well as economically efficient. Tanyia has a background in a variety of industries, making her a valuable asset in understanding subscriber order motivations and trends. 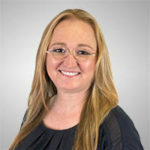 Tanyia is also a skilled graphic designer that uses her expertise to ensure that all NSS materials are effective in the marketplace. 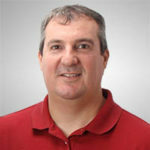 Mark brings over twenty years of software development experience to the team. For the majority of those years he worked in the eDiscovery domain, but has quickly adapted to and learned about the intricacies of the newspaper industry. He aims to achieve the highest quality of work and project completion with client facing as well as internal business software projects. He is a big team player and enjoys collaborating with all members of our team. Engaging, hands-on, Development Manager highly regarded for spearheading complex technical projects that meet demanding time restraints and exceed client expectations. Tactfully develop scalable solutions that drastically improve efficiency and productivity with a demonstrated ability to define and map project scope, specifications, timelines, resources, and budget requirements. 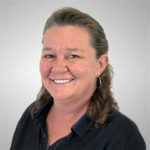 Febra has 20+ years experience in bookkeeping and office management. In addition to maintaining NSS open accounts, Febra assists and executes special projects for the executive team. Her fastidious nature and personally implemented management systems allow NSS to maximize efficiency and production. 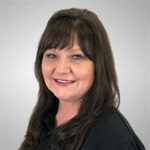 Elizabeth is part of our dedicated customer service team. She ensures that orders are processed quickly and professionally. Customer satisfaction with your paper is her top priority. Kim is crucial to the success of NSS client programs. She meticulously manages client offers and interacts with subscribers to make sure that NSS and your paper are confidently and accurately represented. 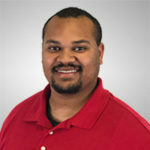 Devin relies on his critical thinking and problem solving skills to deliver the best program package to our clients. To maximize your orders, Devin examines your current sales mix and delivers a customized and strategic NSS proposal. Devin can help you achieve your order acquisition goals. Brian’s expert project management guarantee that NSS executes our turnkey programs perfectly. His vision and clarity regarding team interaction and task delegation keep our programs optimized and producing maximized result. Paulas is integral to program success and management. Her precision in governing special client offers allows our team to quickly saturate markets with the latest offers. This ensures our clients’ the best opportunity for acquiring new and former subscribers.